New book on Ethnobotany in the Balkans! Hot off the presses: Ethnobotany and Biocultural Diversities in the Balkans Perspectives on Sustainable Rural Development and Reconciliation Edited by: Andrea Pieroni and Cassandra Quave The E-book can be ordered at the Springer site. Print copies are available at Amazon or Barnes and Noble. 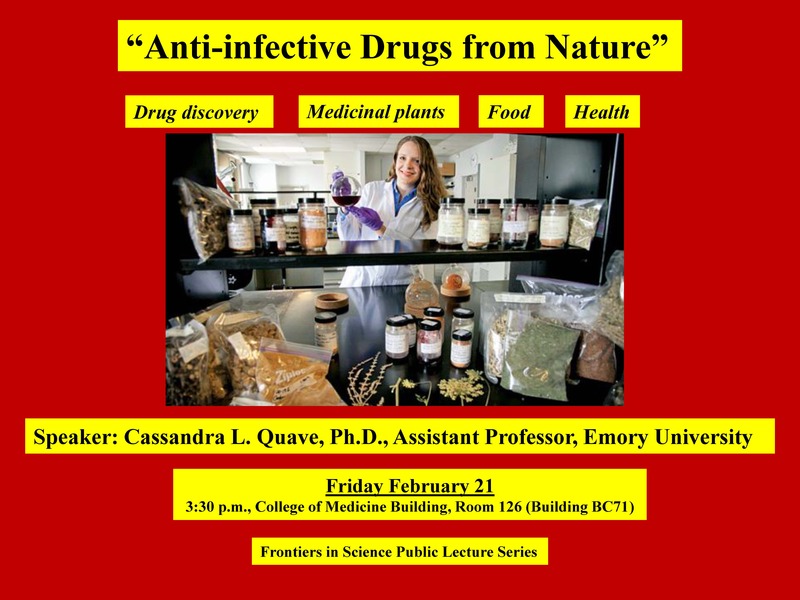 Public lecture this Friday (2/21) in Boca Raton, FL! The Amazon Conservation Team is proud to partner with the Trio indigenous peoples of the northeast Amazon to produce ORGANIC BIODEGRADABLE STRAWS from rainforest plants in honor of #EarthDay!